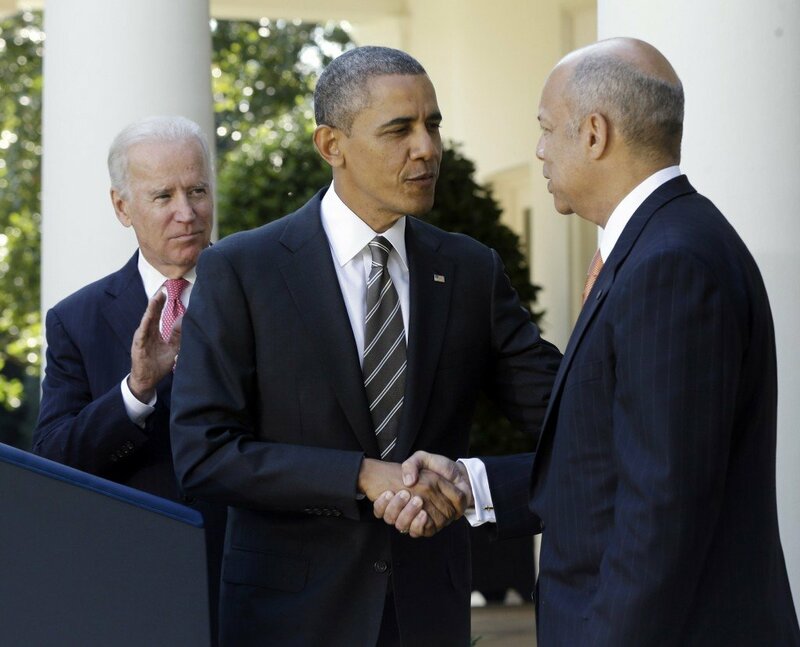 Jeh C. Johnson has significant experience dealing with national security and terrorism issues. WASHINGTON — President Obama on Friday nominated the Pentagon’s former top lawyer to help craft the nation’s counterterrorism policy as secretary of homeland security, suggesting a shift from the department’s emphasis on immigration and border issues to a greater focus on security against possible attacks. If confirmed by the Senate, Jeh C. Johnson would replace Janet Napolitano, who left her post last month to become president of the University of California system. Johnson, whose first name is pronounced “Jay,” is now a lawyer in a private firm. He credited Johnson with helping design and implement policies to dismantle the core of the al-Qaida terror organization overseas and to repeal the ban on openly gay service members in the U.S. military. “He’s been there in the Situation Room, at the table in moments of decision,” Obama said. Napolitano, who came to the Homeland Security Department after serving as governor of Arizona, made clear that her top priority was immigration reform, and she routinely championed the issue in congressional testimony. In contrast, Johnson has spent most of his career dealing with national security issues as a top military lawyer. Issues he has handled include changing military commissions to try some terrorism suspects rather than using civilian courts and overseeing the escalation of the use of unmanned drone strikes during the wars in Iraq and Afghanistan. The Homeland Security Department was created in response to the Sept. 11, 2001, terrorist attacks, which Johnson said occurred on his birthday. He noted that he was in Manhattan on that fateful day when the World Trade Center was struck, and he said he was motivated to do something to help the country in response. But he left government service in 2012 and said he was settling back into private life and work at a law firm. Johnson, a multimillionaire lawyer outside of his government posts, has defended the administration’s targeted killings of U.S. citizens overseas as well as the role of the U.S. spy court and crackdowns to keep government secrets. If confirmed, he would manage a department with more than 20 different agencies, a budget of more than $45 billion and a staff of hundreds of thousands of civilian, law enforcement and military personnel. On any given day, the job includes making decisions about disaster relief, distribution of a shrinking grants budget, which immigrants living in the United States illegally to deport and how to protect passenger jets from would-be terrorists. Johnson has made clear his support for using done strikes to kill enemy combatants, including U.S. citizens overseas. He has also said that he considers “lone wolf” terrorists to be a law enforcement problem, not enemy combatants who should be targeted in military strikes. Homeland Security includes Customs and Border Protection, whose primary mission is preventing terrorists from coming into the country.